As early as Friday, September 1, 2017, President Donald Trump is expected to make a formal announcement regarding his decision to terminate the Deferred Action for Childhood Arrivals (DACA) program that started on November 20, 2014 under President Barack Obama. The DACA program was introduced as part of a series of executive actions, signed into law by President Obama, to shield hundreds of thousands of undocumented immigrants from deportation. (6) had not been convicted of a felony, significant misdemeanor or three or more other misdemeanors, and did not pose a threat to national security or public safety. Individuals who qualified for DACA were given a renewable 2-year temporary employment authorization card (EAD) and “deferred status” to shield them from deportation. It is estimated that more than 750,000 undocumented immigrants have received relief from deportation through this program. A senior administration official has reported to Fox News as of today, August 31, 2017, that the President is expected to announce the end of the program, despite challenges from the GOP to keep the program intact. The official stated that although Trump will announce the end of the program, he will allow current DACA holders to remain in the program, and have lawful status in the United States until their employment authorization cards run their course. This means that the DACA program will not end abruptly, rather the program will be phased out, and immigrants will no longer have the option of renewing their benefits once they have expired. In recent years the number of DACA applicants has dwindled. 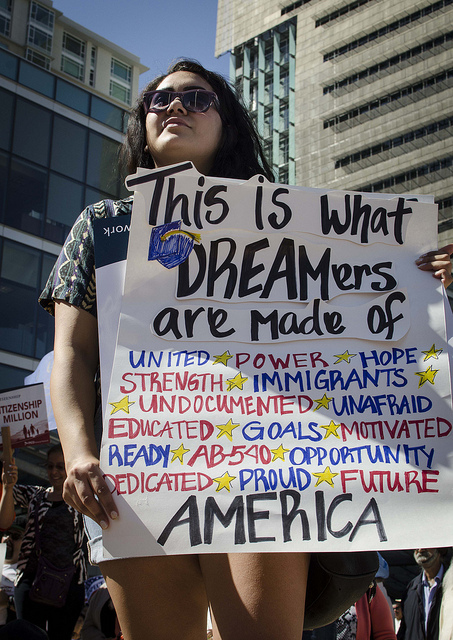 According to USCIS statistics, in fiscal year 2016, 40,378 initial DACA applications were approved, while 83,788 renewal applications were approved that same year. This is in stark contrast to the 472,131 applications approved in 2013. The news that the President is planning to phase out the program is surprising, given the President’s softer stance and assurances in past interviews that DACA holders need not fear deportation. More on the President’s decision in the coming days.